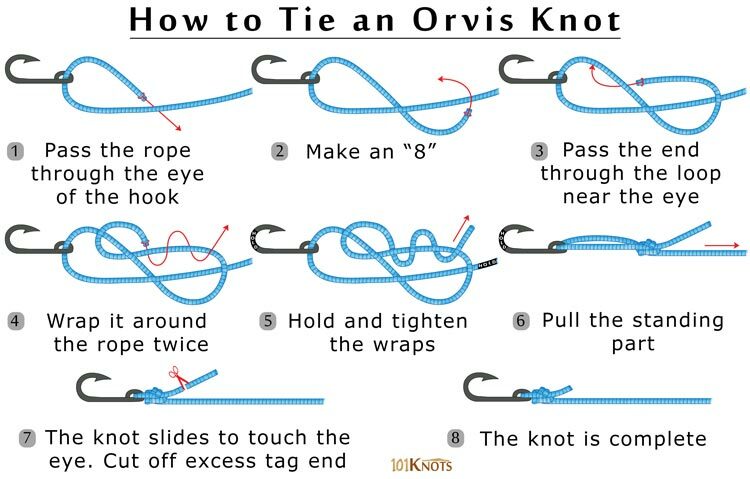 This knot was invented by Larry Becker in a contest held by the famous fly fishing retailer Orvis to find the best knot attaching line to hook. Hence it is also known as the Becker knot. It works well with any tippet material and heavy as well as light lines. It is small, light and easy to remember. It retains almost all of the line’s original breaking strain. In the initial steps, a figure 8 knot is formed that serves as the base. Creating a small head, it doesn’t get in the way of small dry flies or nymphs. The clinch knot is more cumbersome to tie, especially in the dark. 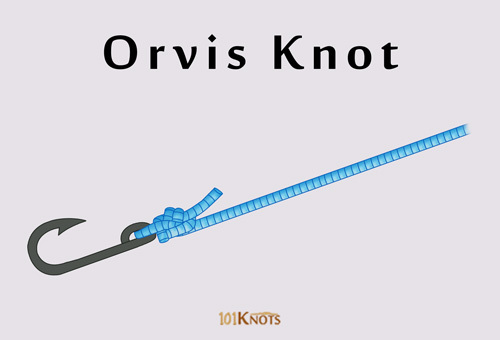 Orvis tippet knot – A strong and easy leader to tippet knot. Can connect mono/fluorocarbon to hook or lure.